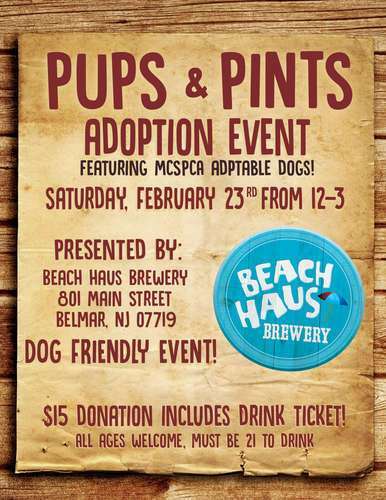 Save the date for our Pups & Pints outreach event at Beach Haus Brewery in Belmar on Saturday, February 23rd from 12-3 PM! This event is DOG FRIENDLY so bring your furry best friend and meet some of our adorable adoptables! There’s a $15 door donation which includes a drink ticket and a PAWsome time!